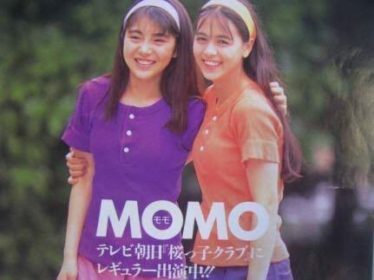 Just to be clear, I realize that in addition to doing a lot of other work while performing in the musicals that almost all of the cast members were also busy in other activities, such as performing on the television show Sakurakko Club, singing Moonlight Densetsu as Moon Lips, and forming the band Momo (Anza and Ayako). In order to keep things simple, though, I generally kept the information here to their post-musical days. Anyway, without further ado, let’s get started! 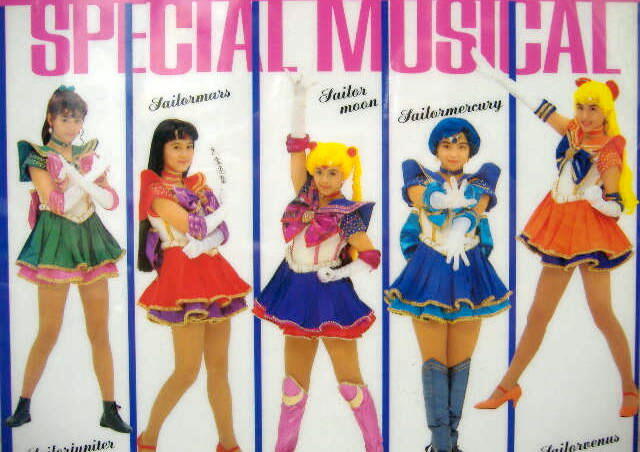 I mean this in the best way possible, but it’s really unfortunate that we’re starting our look at the Sailor Moon musical cast with Anza. She is far and away the most active and successful of nearly any of the talented women who grew up on stage as a Sailor Soldier, which you’ll read more about below. 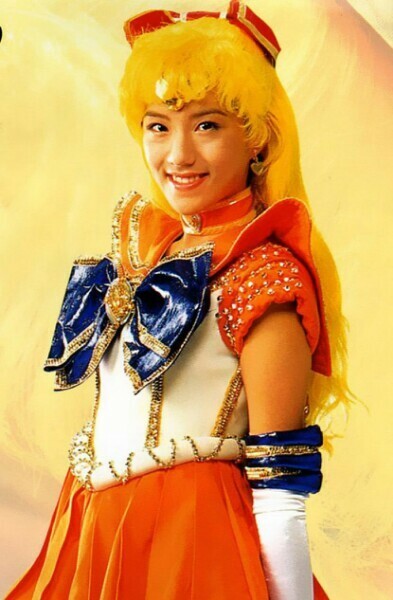 She’s also the only member of the five original senshi that is still active in the entertainment industry. Probably the most interesting thing for me was that she’s actually still involved in musicals, nearly 25 years after she got her start, with her latest performance being in 2016. It’s really great to see that she’s still so active, and as far as I could tell, she still throws small concerts once a year or so in small rock houses around Tokyo. If you have a chance, maybe you should check one out! 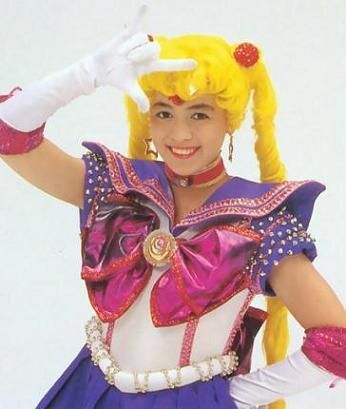 After parting ways with Sailor Moon, Ayako was also quite active for a number of years, before going silent in 2002 when she stepped out of the spotlight. As for why she stopped working (or at least stopped working in the limelight) is unclear but in a 2000 magazine interview she said that she left her talent agency and was working for herself, and that she was living together with a boyfriend. 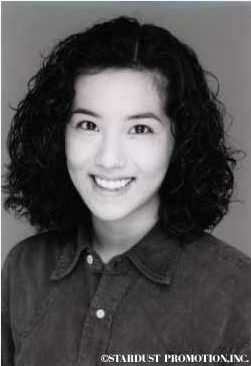 Later, in the same article, she said that she started feeling that the idol life wasn’t for her three years prior (~1997? 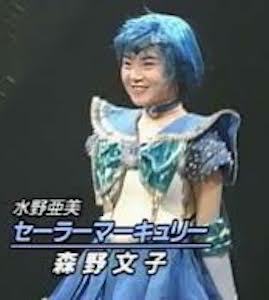 ), and that she felt uncomfortable with the idol treatment ever since playing Sailor Mercury. 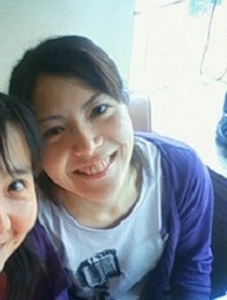 This, however, isn’t the end public sightings of Ayako. 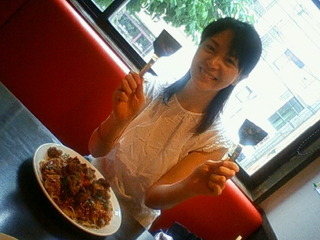 Starting from around 2009, she would occasionally appear in photos in the voice actress Marina Ono’s5 blog when they went out to eat together. No mention of what she’s been up to, though. Still, nice to see her! 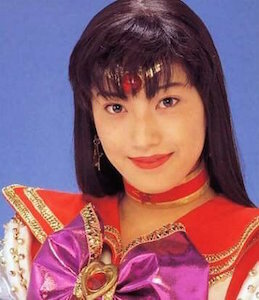 While Misako isn’t strictly the “original” person cast to play Sailor Mars in the musicals — that honor goes to Hiroko Nakayama — she did quickly take on the role and is probably the performer fans are more familiar with. 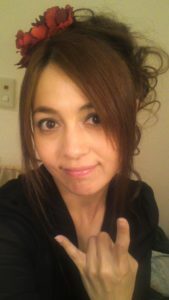 At least that’s my opinion on the subject, feel free to let me know if Hiroko would be more suitable here! While she rarely updates her blog and there isn’t much information about her readily found, it sounds like things have worked out for Misako. It’s always good to see that things turned out relatively well! Scouted in Aoyama in 1991 at the age of 17, Noriko Kamiyama (who performed under the stage name “Kanoko”) is probably the biggest mystery of the original cast. 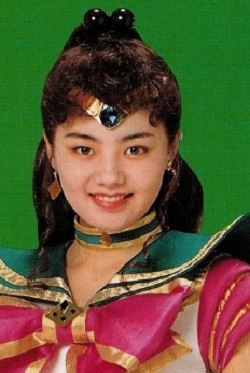 No matter how deep down I dig into the depths of the Japanese idol fan communities, I’ve been unable to come up with any work she’s done past 1997. It’s like she just disappeared, or possibly decided to call it quits. She would have been 23 at the time, so pretty early in terms of an idol career, but not entirely impossible. Unfortunately, that’s about as far as I’ve been able to track her activities. Whatever happened, I hope it was for good reasons and she’s enjoying whatever path life took her on! 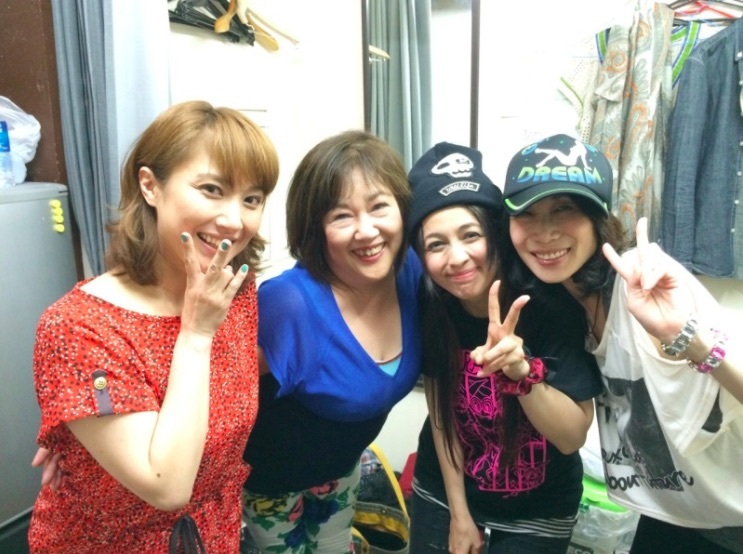 As with Kanoko, I was unable to find anything useful about Nana’s recent activities, and it seems like she just dropped off of the face of the earth shortly after finishing up her stint in the Sailor Moon musicals. Through sheer persistence, I was able to uncover some of her post-musical work, with the last reference I could find to her being active in the entertainment industry being in late 1998, after which her profile was taken down by her talent agency, Starlight Productions. Hopefully things have also gone well for her, no matter where she ended up! It was surprisingly hard to find out much about these women, but I choose to interpret this to mean that they’ve probably stepped away from the busy life of a star and have settled down to the normal, mundane lives we all enjoy. At least that’s what I hope has happened. Is there any other Sailor Moon personality you’d like me to look into next, maybe some of the voice actresses or another musical cast? Doing this kind of research is challenging — but fun — for me, so I’m open to suggestions! ← 2018 Announcements: Tuxedo Unmasked Book, Naoko Translations and More! Actually Anza’s band is pretty active outside of Japan from what I can tell. They even had a live in my country a couple of years ago. Have to look it up. I’m a big fan of them and have been following them ever since I got into J music. I understand about those last 2, I for years been trying to find the where abouts of an JAV actress named Erika Nagai and so far I have not found anything on her and there seems to be less and less information on her around the web as time passes by. In cases of JAV, I wonder if a lot of these actresses/models just use a different name, since they know that their previous career can impact their past/future choices. Out of curiosity, is there any reason why you’re looking for Erika Nagai? Just a favorite star, or did she appear in something before? She is my all time favorite JAV actress for being such a though karate girl in her works. Never saw someone like her before and she can´t be immitated despite all the newcomers. But at times I wonder whatever happened to her? Like you said, she probably always used fake names. I just wish to know if she is doing OK now, and yes most people say she probably married and has kids now lol. Rumor has it she is an extra in this movie: http://www.imdb.com/title/tt0287519/?ref_=nm_knf_t1 but have not seen it myself. And I doubt she has been involved on anime and much less Sailor Moon lol, but I know several Sailor Moon fans who also like her, and one even did a reference to Erika Nagai in a fanfic of hers, but now seems to be lost lol. And mentioned her as this article reminds me of her. Weird how Japan being a small nation it is hard to locate people. I definitely get how annoying it can be to try to find information on your favorite voice actor, writer, celebrity, etc. only to find out that they fell off the face of the Earth. From my point of view, I try to just take it to mean “no news is good news,” even if it’s unfortunate that I can’t really see any more of their work! Well, thanks anyway for the reply!